The average price of a gallon of self-serve regular gasoline in San Diego County on Thursday rose to its highest amount since Oct. 3, increasing nine-tenths of a cent to $3.891. 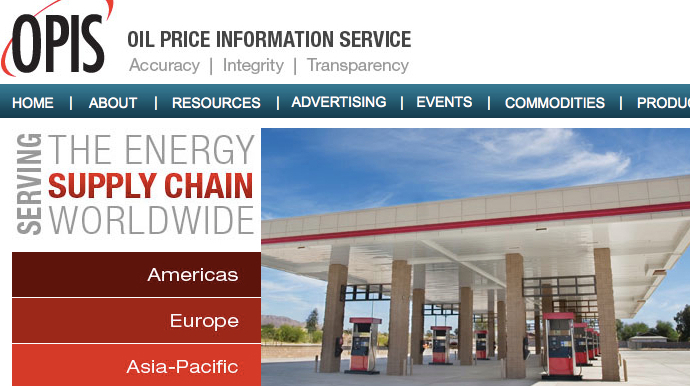 Homepage of Oil Price Information Service. The average price has risen 23 of the past 24 days and is 7.4 cents more than one week ago and 28.5 cents higher than one month ago but 40.3 cents less than one year ago, according to figures from the AAA and Oil Price Information Service. The average price has risen 27.2 cents over the past 24 days, including 1.4 cents on Wednesday. The rising prices are the result of the annual refinery maintenance season when supplies of winter blend gasoline drop as refineries start production of the more expensive summer blend, according to the Automobile Club of Southern California.